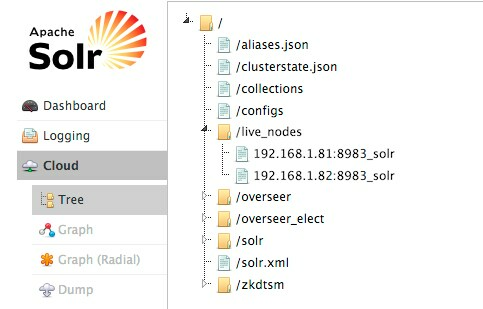 Where possible, the Solr service routes requests to the proper host. 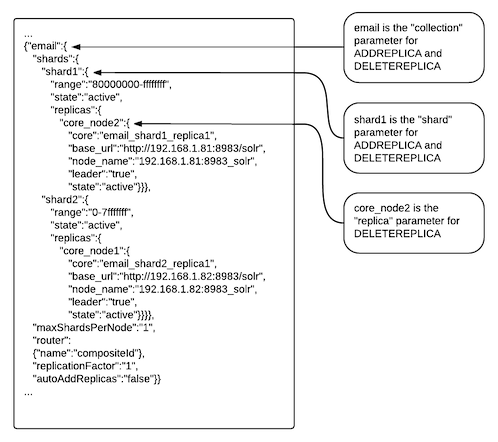 Both ADDREPLICA and DELETEREPLICA calls can be sent to any host in the cluster. Adding replicas can be resource intensive. For best results, add replicas when the system is not under heavy load. For example, do not add additional replicas when heavy indexing is occurring or when MapReduceIndexerTool jobs are running. origin at the IP address 192.168.1.81:8983_solr. destination at the IP address 192.168.1.82:8983_solr. The original replica email_shard1_replica1, which is on origin. The new replica email_shard1_replica2, which will be on destination. Add the new replica on destination server using the ADDREPLICA API. Verify that the replica creation succeeds and moves from recovery state to ACTIVE. You can check the replica status in the Cloud view, which can be found at a URL similar to: http://192.168.1.82:8983/solr/#/~cloud.